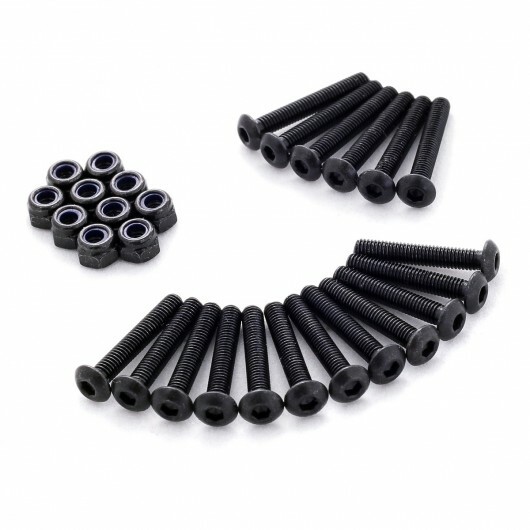 After a very lengthy search I have finally found a source for both 18 and 20mm black button head stainless steel M3 screws. I also managed to get a hold of black M3 stainless nylon lock nuts as well, making the tricopter look very pimp. The screws are much stronger than the old philips screws. They have a temper rating of 10.9 and have 2mm hex heads that are very low profile. Only downside is that they are more expensive than the old screws so I had to bump up the price of the individual screw packs a bit. 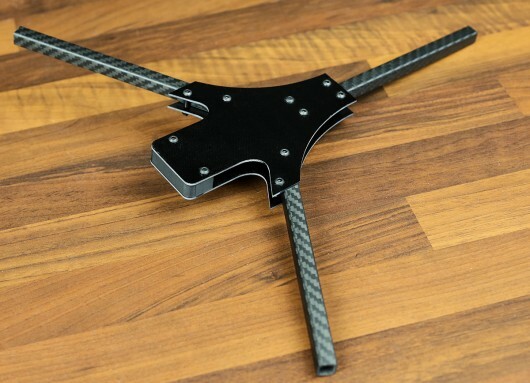 The Tricopter kit price however stays the same. Since the screws showed up one day early the back ordered tricopters will start shipping out tomorrow instead of monday! ← Problem with emails sent through the contact form! Yay, no more stripping the screw with phillip 1. Not sure what you mean by thermo fold? Heating it up, melt it slightly, and bend it I think? 2ma, you can’t vacuum form G10. You could try googling vaucuum forming to determine which materials are suited for vacuum forming. Darn! I *just* received a pile of these screws. David, do you think the small heads would cause too much stress on the frame plates? And to make things worse, the same supplier has some nice button head screws that I didn’t notice before. I’ve been flying those hex nuts (non buttonhead) for a while now without incident. You should be fine 🙂 If in doubt you could always put a washer underneath. What size is the head of the screw? Look like they are really small? While I’m pondering what to do about the screws, I found that the vendor also has flat head screws to be countersunk! I wonder if countersinking would weaken the holes too much. Jeez! Pimp screws. Pdb frame. PCB FPV post. My Tricopter is looking old. It’s from way back, 2014! I have been looking for a black set forever. This is great. Also is that a Mini Tri. It looks smaller than the V3? Very nice looking. Too bad I just missed it with my order. LOL. 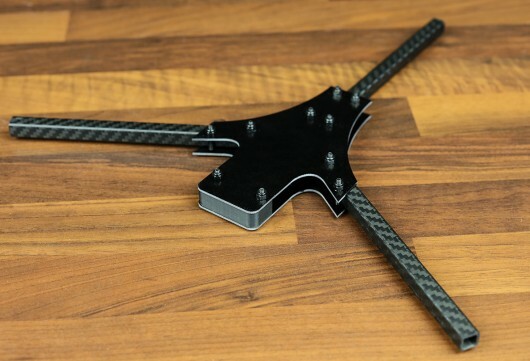 Will the Mini tricopter have any special parts, or can I just order the new PDB-plates, Naze-plates and some motor mounts as soon as they are in stock? will the Servos be back in stock anytime soon? I can’t seem to reply to the sub-thread about the cap screws. The good news is that the vendor gladly accepted a return, and I ordered the button head screws to replace them. It’s working now! Most likely I just didn’t see the nice orange Reply button. Love all the new updated parts David, just one more thing I think you could look into fixing and that is the cf arms. The surface is to rounded and induces problems with tilting motor mounts.